This vibrant 6 bedroom, 5.5 Bath Corolla home has attracted guests for years with its wonderful location, amenities and pristine interior. 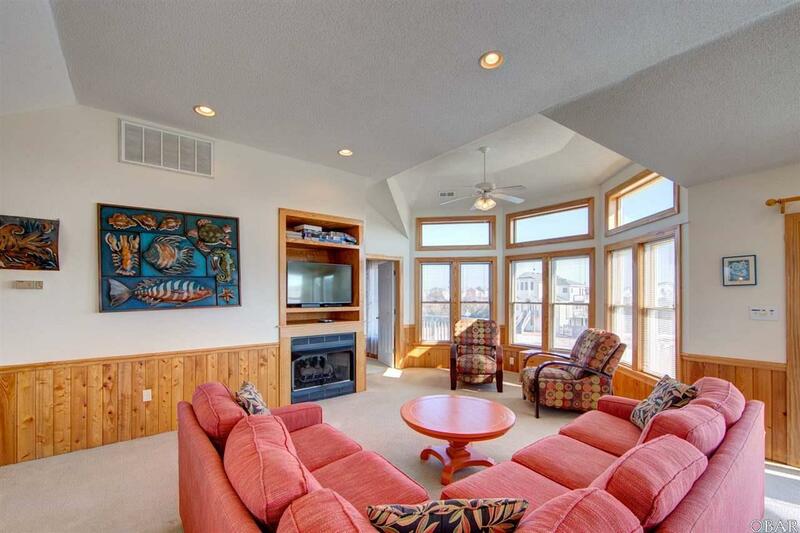 This cottage offers a welcoming place to entertain and enjoy time together on the Outer Banks. Located in the Whalehead community, this home is close to the unique shopping and dining areas of Corolla as well as being just a few miles from the 4-wheel drive area with its historic Wild Horses. New owners can immediately move in and start enjoying the charms of living on the northern beaches. This home has a welcoming appeal with its sunny yellow exterior, large light reflecting windows and spacious sun decks. 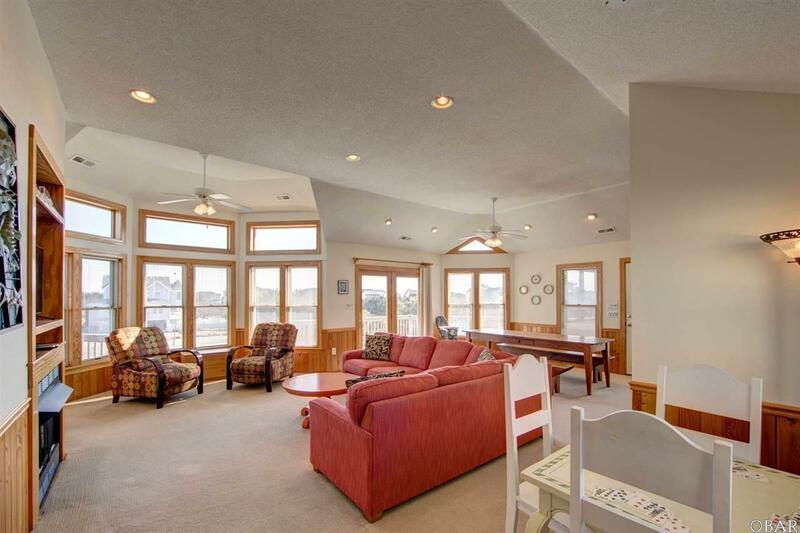 Inside on the top level is a great room with cathedral ceilings and sparkling white walls. A well-equipped kitchen with solid surface countertops and bar provide a wonderful prep area and additional seating. Natural light pours in through the large surrounding windows. This open concept space also includes room for a dining and living area with gas fireplace. Screened Porch. A private master suite with jetted tub and private access to the deck is also on this level. The mid-level hosts 2 more master bedrooms private ensuites and 2 bedrooms that share a hall bathall have private deck access to hot tub on deck. Laundry Facilities are on the mid-level as well. 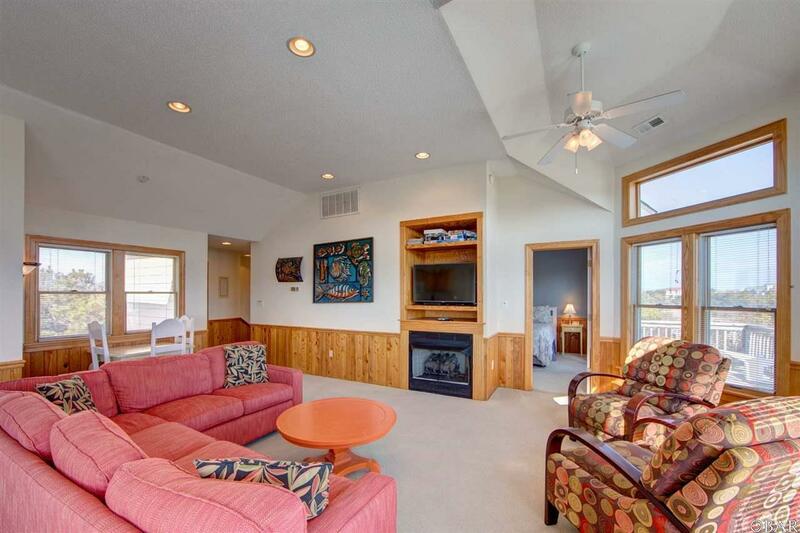 Downstairs is a wonderful rec room and an additional bedroom with a semi-private bath. Entertaining is made easy outdoors with the 12 X 32 pool, childrens pirate ship and outdoor showers. A fence surrounds the pool area. 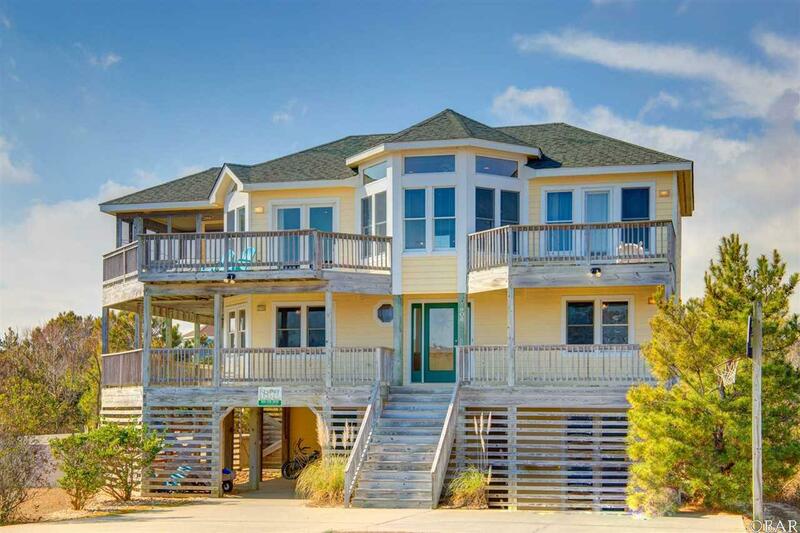 This homes desirable amenities and features have made it a favorite destination for vacationers. Over $32K already booked for 2019.